After Apple unveiled the iPad on Wednesday in San Francisco, I squeezed into a crowded room of journalists to demo the lightweight computer that looks rather like a stretched-out iPhone. My No. 1 goal: Try the keyboard. 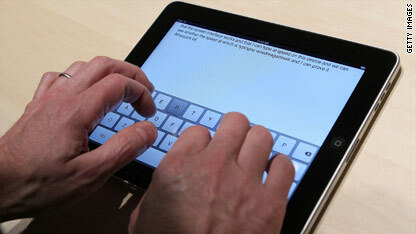 The full-size, touch-screen keyboard on the iPad could make or break the device. The iPad doesn't come with a hardware keyboard, like the one you probably have on your laptop or home PC. Neither does the iPhone, and it's worth noting that many people type on that device with relative ease. But, if, as Apple CEO Steve Jobs says, the iPad can be a device for reading and creating documents, spreadsheets and office presentations - if it aims to replace the laptop and netbook - then it has to be easy to type on. The problem: It's not, at least not at first. In a demo at Apple's invite-only event, Apple CEO Steve Jobs tapped away on the iPad keyboard using all of his fingers. He said typing on the device is "a dream." I found typing on the iPad to be rather cumbersome. Hardware keyboards are tactile. Your fingers can feel where they're supposed to be. But if you're not looking at the iPad screen, then there's no way to know what you're typing until you see the errors popping up in your documents. I found myself choosing finger-strokes with anxious care, which slowed me down considerably - more than the iPhone keyboard does. I chatted with some other tech reporters to see what they thought. Jacqui Cheng, associate editor at Ars Technica, said she had some similar issues and overall described typing on the iPad as "very frustrating." She's an adept iPhone typist, but said the iPad screen is too large to let users type with their thumbs, as many do on the much-smaller iPhone. Other people said they found the keyboard on the iPad to be unexpectedly comfortable. It is large enough for average-sized hands when the 9.7-inch device is turned horizontally, which is rather unique. "I think it's amazing," Stephen Hutcheon, of the Sydney Morning Herald, said of the device in general. "It just sits really nicely in your hand. It's just a very intuitive feel." The typing issues may work themselves out over time as people become more comfortable typing in this new way. And, according to one product rep, Apple will offer a $69 hardware keyboard that plugs into the iPad. (When Jobs announced the hardware keyboard at the press event, the man sitting next to me, a business-dressed market analyst, literally screamed with joy). Still, the iPad is definitely a product you'll want to touch before buying. Leading up to Apple's Wednesday announcement, I was pretty giddy. 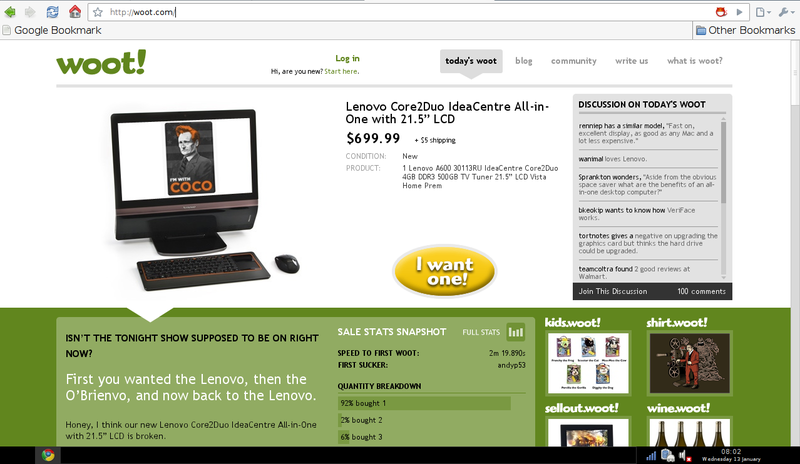 I’m in the market for a new laptop - or really a sub-notebook or netbook - so I was hoping this would fit the bill. 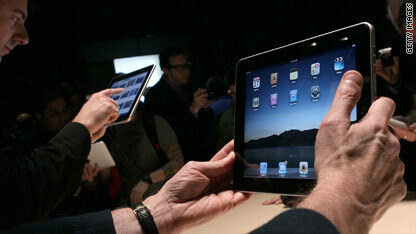 And hey, the iPad tablet computing device that Apple unveiled is pretty cool. It has a nice, big screen, a new and seemingly zippy processor, a new bookstore (the iBookstore) and even new iWorks apps to help you get stuff done. With the full-size, touch-screen keyboard and the Pages word processing app, I could easily take notes in meetings or even write blog posts with ease. 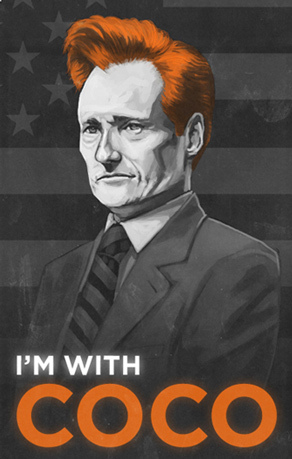 But I'm not sold. Apple's first-generation products are infamous for glitches, and there are some key features missing in the iPad Apple CEO Steve Jobs debuted this week. So I’ll wait to see the next-gen device before I decide to buy or not. 1) No camera. Um, what??? 2) A	3G data connection is $129 extra plus $30 a month for unlimited data? No thanks. 3) The price. Sure, others are excited about the starting price of $499. But the high-end model, which I would want, doesn't seem worth it. But what do you think? Did apple hit the mark, or miss it completely? What features were you surprised by and what are you annoyed isn’t there? 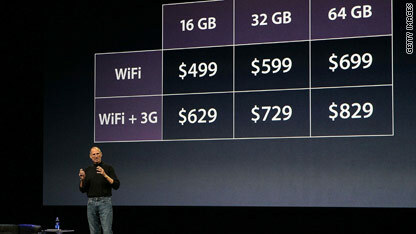 Maybe you missed Steve Jobs' announcement Wednesday about the iPad because you were, well, at your job. Maybe you still have questions about the tablet-size device, like why the name iPad? Maybe you want one place to get all your news about the much-hyped device, because you just can't get enough of it. 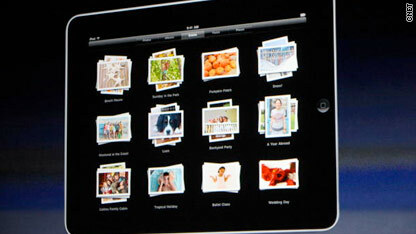 Will iPad save old media? CNN is filing updates from Apple's invite-only event in San Francisco, where Steve Jobs just announced the company's mysterious tablet device will be called an iPad. Jobs: "It's the best browsing experience you've ever had. Way better than a laptop. Way better than a smartphone." Follow along with CNNMoney's live blog or CNN Tech's Twitter feed. 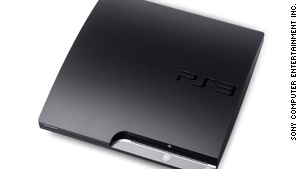 Sony has delayed the release of its motion controller for the PlayStation 3 until this fall. The electronics company announced Wednesday it will release its new controller, originally promised for spring 2010, with games that can actually use the device. Those games will also need the PlayStation Eye camera, which will detect the movements and reflect them in the game. 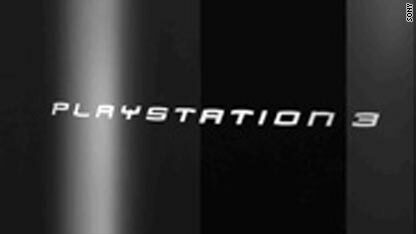 The delay will no longer give Sony the jump on Microsoft’s expected release of its Project Natal system. The new motion-sensitive controller for the Xbox 360 is due to be released in the fourth quarter of 2010, in time for the holiday season. 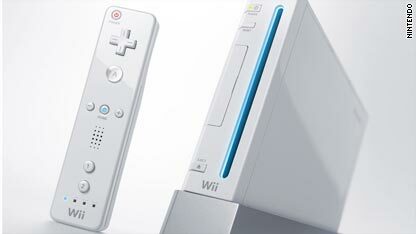 The Nintendo Wii becomes the latest gaming console to begin streaming films from Netflix. Nintendo announced Wednesday that starting this spring, users will be able to stream movies from Netflix and watch them on their Wii. To start, Wii owners will need an instant-streaming disc for their console, which can be reserved now at www.netflix.com/wii. The disc and the service are offered at no additional cost to Netflix subscribers. Nintendo joins Sony and Microsoft in offering the service for their gaming consoles. Netflix said it has 11.1 million U.S. subscribers and is looking for more ways to let its customers watch movies and TV shows. Cammie Dunaway, Executive Vice President of Sales & Marketing at Nintendo, said the partnership is a natural because of how Wii owners use their consoles. 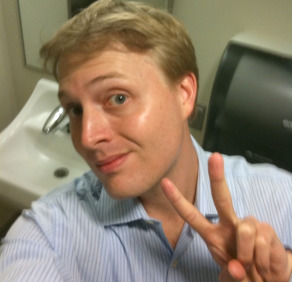 Dunaway said Nintendo sold more than 3 million Wiis in December and have over 26 million registered users. She said a significant number of Wii users were also Netflix subscribers, but didn’t want to say specifically how many.